I know we are already half way through July (my gosh, where did the year go? ), but I am only focusing on the first half of the year, January 1-June 30, for this review. Counting royal engagement numbers is not an exact science and different people count the royals’ engagements differently. Different people also categorize royal engagements differently. I’ve counted and categorized Kate’s engagements a certain way; others may or may not agree with how I’ve counted and categorized them, but that’s the way I’ve done things for this review. For a detailed breakdown of all of Kate’s engagements for 2016, go to the 2016 Appearance Total page. From January 1-June 30, Kate made a total of 60 engagements over 32 days. *Kate did visit the NPG to view her Vogue portraits on May 4, but I did not count that as a Charity Appearance. **Kate only visited Place2Be itself once, but Place2Be is part of the Heads Together initiative and Kate visited a Place2Be station at the HT launch. Kate has visited 7 out of her 13 patronages so far this year. I am only counting actual visits in these numbers, not interactions such as letters sent or video messages. Out of those 60 engagements, only 12 of them have been solo events (over 8 days). So only 20% of Kate’s total engagements for the first half of 2016 were solo engagements. 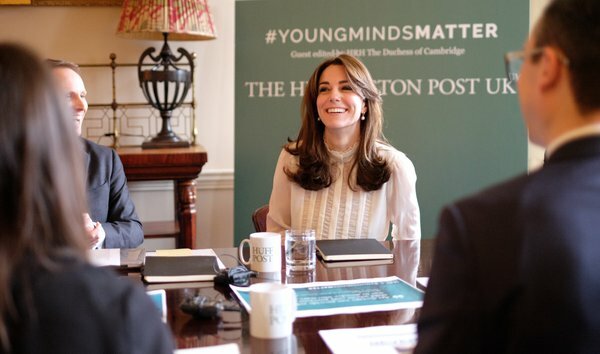 Kate’s last engagement which had to do with children’s mental health took place on May 16. As it stands right now, that’s two whole months with no children’s mental health related visits. Plus nothing in January means Kate has only focused on her Big Cause for four months. Only 6 out of her 60 engagements (10%) have been Big Cause related. That 9 Charity Appearances number is just for public engagements, but if we add in other interactions with her patronages – which include two letters (one to EACH, and one to SportsAid) and the Vogue portraits visit – then the number increases to 12. 12 Interactions with Patronages and 9 Visits to Patronages for the first half of 2016. To compare to previous years, Kate’s Interactions and Visits were: 13 and 12 for 2012; 17 and 13 for 2013; 16 and 11 for 2014; and 17 and 9 for 2015. If Kate does the same amount of Interactions and Visits in the second half of 2016 as she did in the first half, then she will outperform her previous years. She’s already matched her Visits from 2015. Currently, Kate’s % of Engagements to Patronages sits at 15%. Kate’s previous % of Engagements to Patronages were: 12% in 2012; 39% in 2013; 18% in 2014; and 27% in 2015. If she does the same amount of % of Engagements to Patronages in the second half of the year as she did in the first half, then she will outperform her 2012, 2014, and 2015 numbers, though not her 2013 numbers. As far as total number of engagements go, in the first half of 2016 Kate has already outperformed her 2011 and 2013 numbers. Kate’s previous years numbers were: 34 in 2011; 111 in 2012; 44 in 2013; 91 in 2014; and 62 in 2015. If Kate does the same number of engagements in the second half of 2016 as she did in the first half, then she will outperform all of her previous years. Now the question is will Kate do the same number of engagements and number of charity visits in the second half of 2016 as she did in the first half? The answer is probably not. That tour of India gave Kate a big bump in her numbers and she, so far, does not have a tour lined up for the second half of the year. So unless she really buckles down and knocks out those engagements on UK soil, she probably won’t match her 60 engagements she did in the first half of the year. The thing about royal tours is they are great for a total engagement numbers bump, but they aren’t great for a charity visits numbers bump. Kate only did 9 visits to her patronages in the first half of the year, so Kate could easily do the same amount or more visits to her patronages in the second half of the year. So far in July, Kate has done 3 engagements (5 if you count her Wimbledon appearances, which I am not counting for now), 2 with patronage-related elements (though they aren’t specifically Charity Appearances). Adding these into her total numbers means she’s already outperformed her 2015 numbers. Kate has an appearance scheduled for July 24. She and William will visit Portsmouth again for the Louis Vuitton America’s Cup World Series. I think this is the same event they tried to go to last year but it got rained out and they didn’t get to watch the race. It’s getting into that time of the year where most of the royals go on holiday and aren’t seen until September or later, which means news will be very light for a while. I have some ideas for posts to keep us busy during the royal downtime, but is there anything specific you would like me to cover? I have a post on Kate’s Kiki earring collection done, and I’m thinking some fashion rewinds might be fun. So what say you guys, any suggestions? I think it would be interesting to post on the length of her appearances – it so often seems that charity visits take about 30 mins of her time whereas the glamorous events like Wimbledon are day-long affairs. There are certainly outliers, but on average her engagements last about an hour. So Kate has probably worked about 60-70 hours in the first six months of 2016. If you are generous and say that it takes her 4x the length of an engagement to do actual prep in the background by way of briefings, etc. (not counting clothes/hair) then she has really only worked about 280 hours in 6 months – which is about 7 weeks of work for people who work 40 hours a week ….so even all the “behind the scenes” stuff can’t even begin to make it approach a real job. I think that would be being very generous. But yes, even with being very generous Kate has only worked a fraction of what an average person would work. The royals always only ever work a fraction of what an average person works. Why? They are paid one third of a billion pounds each year, yes, a billion, to do next to nothing. It would be absurd if not completely obscene. Then again also regular people have to prepare themselves for work. Going to hairdressers, clothing maintenance and clothing shopping etc. These are not included in the 40 hours a week. Why should these be added for Kate. The only time these should be added into Kate’s numbers is during the tours. That’s a very good point. My hour’s commute doesn’t count as work. Most of us have to buy work clothes and maintain them, look after our health and appearance as well as shopping, cleaning, gardening, childcare etc. I’m disappointed when I look at Kate’s statistics. I am happy to not count her time buying dresses and getting hair done, because we don’t get paid to do that either. But, the briefings and the background work, speech and conversation rehearsal etc. should count. I might stand up in front of the audience to give a 20 minute talk, but I spend 3 full days just making slides, plus all the time spent beforehand actually generating the data going on the slides. If we judged me the same as Kate, I would have pitiful work numbers too. True, she has help staff. So do I. Those staff need to be directed, supervised, inspired and overseen. All work, and I treat it as such. Our trouble is we do not know what she actually does or does not do, we have no insight into that, so it is difficult to assess these work numbers for what they are. For sure we want to see her more, that’s all I can say. None of the other royals get to count “the briefings and the background work, speech and conversation rehearsal etc. ” . If you think about it, that’s rather ridiculous. No mature working adult gets extra credit for these things. She’s not that special, nor are any of the other royals, IMO. I think Ecelos has a point. Most mature working adults don’t do all the prep work on uncompensated time either. The royals are different as they aren’t paid by the hour or engagement. That being said, I don’t see a lot of prep work in evidence in her public engagements. I would reckon that that’s EXTREMELY generous. With the amount of nothing that spews forth from her yap, I’d say she spends maybe one half hour preparing and reading; perhaps 4 hours shopping for clothes, hair, makeup, tanning, teeth, the whole nine-yards, but nothing close to that in actual preparation time. This is a woman that was told about children having limbs removed INTENTIONALLY to garner more support, and donations from passer-bys and her response was “Wow, how interesting”. Enough said. Hahahahahhahaahha! Im sorry I’m just laughing at the sheer unfairness of this ridiculous situation. That Royals get paid so richly while doing only 60hrs of work over 6months! I’ll sit by you, Red Tulip. Well said. Wow… I have a 48 hour work week. And I put in an extra 41.5 hours of over time the past 3 weeks. Kate is one lazy woman! KMR, what a wonderful job you did here with her statistics! I have always been amazed by your write-up. You made them seem so effortless. Kate’s number of days worked in a month is really disappointing(as always) but what’s more daunting is the fact that they can’t even be counted as a full day’s work because we know she didn’t spend 8-9 hours of ‘work’ in a day. Can I suggest, maybe during this lull period you can write about Kate’s history? What she did during her college days, her supposed ‘manipulation and tactics’ to get the Ring of Doom etc? For someone like me who’s been fed too much saintly stories of Kate from the media, I wanna catch up on her dirty laundry (Ew!). I only started discovering stories about Kate that are total opposite from what the media would want us to believe from other blogs and posts from our friends here. I totally second this request for andive into Kate’s history! Love the idea of writng about Kate’s history. I only know about the stuff the sugars post about her. About Kate’s background: I found looking over the KMR archives was humbling. KMR was writing insightful comments from the start of her blog. I get embarrassed to see how many times I’ve written exactly what KMR said two years ago. Another blog archive to check out for Kate history is at lovelolaheart. You can do a post of all the times Kate has flirted with Harry and made him uncomfortable. LOL!! That would be hilarious! Maybe something about other projects and work of other royals? Like not just Harry’s Invictus but the AIDS and Sentebale work, stuff that’s going on with The Prince’s Trust, you know, the real good stuff some royals do? And Anne! I figure it’s hard to get information on her but she is ALWAYS doing things. I second that on Anne! I’d love to learn more about what Anne does as well. The lady is a workhorse. Anne, more Anne! What a worthwhile person to discuss! Would be very interested to learn more about Anne’s work – such a hard worker, no fuss…. Also would love ‘Kate history’…. And some more B & E please! They do A LOT more for their charities (and family) than the press want to give them credit for, all because of who their parents are! Oh yes, Beatrice and Eugenie! Since these two are younger members of the BRF, they would be starting out in support of charities. It would be interesting to see a recap of what organizations they have supported and how often they engage with their charities. AND they don’t really live off the taxpayer. They had generous trust funds from the Queen Mum. Wonderful job, KMR! Really like that you listed the engagement by category, month, days worked and patronages as it gives one a better idea of real amount of working and what she actually worked for! One thing that really bothers me about Kate and her “work” is that one doesn’t really have a clue what she stands for. We know that hospices, children, mental health are close to her heart but yet looking at the things she does for those causes it does not end up. There is basically hardly anything he does for her patronages and with so little she has, she could easily visit them each week, or meet their stuff etc. Kristin, I agree with you. We don’t know what Kate stands for, do we? Oh, she is supposedly keen about mental health, but what has she really done? And, is the “keen” fervor she supposedly has, ongoing? I do like all your research, KMR, and your willingness to post all the results. It substantiates why so many of us are upset with when it comes to Kate and her lack of a dedication to her causes. I am reading a book now about Princess Diana — Mary Elizabeth reported here about it last year, I think. It is extraordinary because it not only shows her work ethic, but her ability to connect with people and her dedication to so many different causes. The time she spent at events was lengthy in many cases. She stayed on often after the media left and really delved into things with the people who worked for the charities or non-profits that she visited. I realize that they are different people and it is not fair always to compare Kate with Diana, but still….. I don’t think Kate is really doing her fair share. William is not either. They seem to think they don’t have to do certain things. I wonder if they ever will think they should..
Diana was doing what a lot of people do- show compassion, show curiosity and interest and a modicum of intelligence. It is a fair comparison because Diana was a “normal” human being in that respect, whereas the Dolittles act like entitled asses- we must never forget that they are doing us a favour by gracing us with their divine presence. KM should have stuck with the sports-related charities. Sport is what interests her and where she becomes most animated. Pushing her into childrens’ charities, especially those related to disabilities or terminal illness, before she had any children of her own was a big mistake. I have no clue who thought that mental illness was the next big cause for them but all has seemed to do is recall Will’s mother’s problems. He and Harry should have taken that up and left KM out of it. I do have to admit that I don’t know what every single royal stands for, but with someone like Kate who is in media that often we should know better about causes she supports and is involved with! Would actually be interesting to know how much she had to say about her patronages/charities. We speak of a woman who was 29 year old when she married W and who, one would think, has her own interests and say. Though even some patronages recommended to her don’t fit 100%, one would think she is old enough to to learn and professionally do her job. And still ahe could get involved with a lot of charities fitting her interests outside her patronages but we don’t see that either. Sport is what interests her? It also interests millions of people. She seems very happy to be a watcher (Wimbledon, polo) and glean some info for herself (Andy Murray’s mother at a “charity workshop”) or a ride (sailing with Ben Ainslie multiple times for a rich ‘charity’). Yes, very animated. Apart from that what has she done but show up for the perks? I agree, Maven. Kate is interested in getting good seats at Wimbledon and some tips from Judy Murray, and also watching exclusive sports like yacht racing (or perhaps the men sailing) but beyond that? It’s all about herself. Who gives a f**k what she enjoys? Why should anyone kowtow to what this woman likes? She is damn lazy. The raw numbers prove it. I like the way you’ve broken up all the information. It validates what we’ve all been thinking for a while, both bozos have no idea what work truly entails. Then they come out with “we want to be normal hands on parents” but continue to hire staff to help them, you can’t have it both ways. I’d respect them if Kate chose to be the hands on mother she claims to be, a mother with no 24 hour nanny on call, like a ‘real’, ‘modern’ parent. Wills could in this situation take on the bulk of the appearances, occasionally sharing with Kate and staying home with the kids. The work ethic of these two is a slap in the face to everyday ordinary parents that want to be at home and can’t due to finances, that work crazy hours to support their families. How can Kate justify her super expensive wardrobe given her lack of work? It would make sense to rewear more outfits or she could alternatively purchase less expensive clothes, like the ordinary, everyday mother that she claims to be. I don’t know any mother that can afford to spend 3k on one dress alone. I hope the monarchy will cease to exist once the time arrives for these two to take over, they are so out of touch with their subjects and reality, it makes me angry. Thanks KMR for this, it puts everything into perspective. Nothing so far from the Royal Family about the atrocities in Nice – maybe something is to come, but it could have been sooner. No need to get political, the King and Queen of Spain visited their French embassy and spoke to the ambassador expressing condolences. The French Riviera is very popular with Brits and I know many people were affected. It would be positive to be supportive. Like I say, maybe it’s to come. The Queen sent a message to the President of France on Friday. I think Prince Philip did too. I saw something he said about the incident. This act in Nice was so horrific. It’s nice that a message was sent to The President of France by HM. Is there a book that others can sign? Sadly, these events are happening over and over again, but each one deserves its own attention and messages of support. Will any Royals be signing a condolence book? Nobody wants more of these violent occurrences, but each one should be remembered and that should be part of the things that many Royals need to be doing. If Kate and William don’t wish to do so, shame on them, but send someone else. Harry? Edward and Sophie? Charles and Camilla? ( I guess I should have mentioned C and C first). Bea and Eugenie? Anne? Does Andrew ever do anything, btw? How about other Royals in Europe? What have they done? This is really in Monaco’s back yard, so to speak. Yes, the Queen is always very prompt with her messages – I just hadn’t seen any of them at the French embassy etc, but like I say, that may well be to come. Prince Charles’ office sent out a tweet very shortly after the attack. This post is exactly what drew me to your blog in the first place — googling something akin to “how much does Kate Middleton ACTUALLY” work) — and this is why I stay. I don’t know of another blog that focuses on her schedule, and I appreciate how you hold Kate’s feet are the fire of the promises her PR team puts out. Thank you for all you do, KMR! OMG, I got dizzy reading this post. AMAZING job KMR. You are right, the tour of India gave Kate a big bump in her numbers. I am not impressed (nor surprised) by her numbers, she is far away from get the numbers of a working Royal, IMO. And how Charlotte said, this post shows “how much does Kate Middleton ACTUALLY” work”. Frankly, I’m relieved we won’t have news of Kate until September. I need a break from her, REALLY. I am anxious for your ideas for posts. KMR. The “Kate’s Kiki earring collection” will be great, and the “fashion rewinds” will be fantastic, too. I seem to remember Kate’s numbers spiked 4 years ago around the time of Diamond Jubilee too, right? Maybe it’s all for show since this is a “special” year? I was thinking that, too. A lot of ‘work’ was showing up for the insanely drawn out 90th Birthday celebrations. KMR, You are simply a marvel. I learn a lot from comments posted here. But the numbers tell another aspect of the royal story. Thanks for the thorough recap. My reaction to the number of KM’s engagements is to be awed by how the Royals lead such a charmed life, unlike any other person on earth. For the little amount of work they do, they get rewarded beyond belief. I even count the Queen in that group, although she has proved her staying power. KM’s perspective on her royal position is one of a middle class girl who finds herself adored by many, thinks she is more special now that she has a royal title, who lives in a big house and can afford to spend public money on the best things in life. KM stepped up her engagements these past months in response to the Queen’s birthday celebrations. Her actual charities remain very few and she shows no enthusiasm for them. She is still a mannequin with no talent for genuine engagement. She does not have a voice in terms of finessing a speech or speaking on behalf of those who support her lifestyle. She hasn”t contributed anything that has improved her charities. Hilary Mantel’s 2014 critique of KM as “a jointed doll on which certain rags are hung” remains relevant. My suggestion for topics to cover is a report on why the royals are still relevant today, if they are. If I’m correct, you have a background in history and a great talent in combining present day events along side historical events. I would love to read why the public still accepts financing their lives. Because I don’t get why these Royals, who really are quite ordinary people, are valued above everyone else. +100. Well said, absolutely correct. It’s very apparent that Kate shows no interest in her charities, rarely following through with anything substantial. The numbers are stark and speak for themselves. They are pitiful and let’s not confuse days with hours worked. I think actual face-to-face hours constitutes ‘work; as others have said, that’s what is normally identified as work, not dressing, travelling etc. I’d also like to know the sum of money spent on new clothes this year. Great idea to cover what ‘work’ actually means in royal terms. It really is lots of money for very little. Kate has no interest in philanthropy. She may like the idea of it in a vague way, thinking she’ll give more of herself to it in the distant future. When the children are grown, maybe?? As of now, I’d say she is leading a normal life, as her and William know normal. Normal, as in extremely wealthy, not our kind of normal. She is living like her peers, that’s what she wants without the expectations that come with being the wife and mother of 2 future kings of England. And most likely believes she is entitled to choose how she wants to live, for that very rarified situation. And being that she appears to be funded and supported in her decisions, I’d say others in the Firm may feel the same way. Much as we love some of them, how can they all not think they are special snowflakes in varying degrees? They are as human as the rest of us, whether they want to believe it or not. I doubt that she’s familiar with the word, “philanthropy” and that both the Dolittles have ever heard of ‘noblesse oblige’. I think Hilary Mantel is getting the last laugh on how astute her analogy was! Hilary Mantel was spot on, IMO. As was the artist who painted that official portrait of her. Thank heavens that the truth is out there, regardless of sycophantic overkill. What a writer! Superb. And yes, the dead eyes in the portrait. How astute was that artist too. Amazing! I would have thought Kate’s numbers would be higher during the Queen’s birthday celebration. I wish I could say I was surprised. Maybe a post about Princess Stephanie of Monaco? She’s quite interesting. Or a post of royal friendships. I like Mette-Marit and don’t know much of her background. Thanks, KMR! This was a great breakdown of Kate’s work in 2016. Rhiannon, I agree that Stephanie of Monaco is quite interesting. She chose to live such an unconventional life and seemed quite lost at times. I think she’s back in the Grimaldi fold. But I really don’t know much more about her. The one addendum I would make to KMR’s list is a note that April’s numbers were high because of the India tour and June was high due to the Queen’s many public birthday celebrations. Us readers know this, but in a year or so, if some newly comes to the site to learn about why W&K were voted out of the RF to be replaced by Harry, they can get the details. Great breakdown! I was just thinking Kate’s numbers had to be higher so far this year. Jason can check off that box. It’s amazing that Will’s semi-cooperating, but given his irritated faces at the last few events, I wouldn’t be surprised if Will clocks out for the rest of the year with a tantrum and “you can’t make me!” They both could do a huge amount more but I’m glad to see some steps in the right direction. I’d be interested in how CP Victoria is raising Estelle to be a future Queen. She’s an excellent mother; I’d love to know more about how Vic was raised, schooling and her vision for the future. They are an excellent family, and more pictures of Daniel are a treat. It looked like he was growing in a beard, hopefully he’ll keep it tamed if so. An idea popped into my head while I was changing my toddler’s poopy diaper- ok they are not related, lol. But what about doing a look back on the ‘love stories’ of the royal couples, where one half of the couple was a commoner who then married into a Royal Family? Thanks for such an interesting post KMR!!! I would be curious as to the dates of her engagements because I have perceived in the past that she tends to group them together over the course of a week or so and then retreats out of sight for a month until the next group of engagements and I wonder if this is indeed the case or only my perception. Looking back at your appearance totals, it seems to me that excluding galas, receptions or events with Sir Ben, Kate actually hasn’t visited one of her charities since March. Personally, I find it rather sad that she hasn’t done anything for her Action on Addiction charity at all this year. As I recall, this cause was one that she was rather “keen” on when she was first starting her charity work. And when was the last time she actually visited one of the children’s hospices’? It also appears that her volunteer “work” with the Scouts has fallen by the wayside. As time goes on it appears that the Duchess is most comfortable at galas, receptions or events with Sir Ben, at least at those engagements she appears to be happy and engaged. While at events that aren’t galas, receptions or events with Sir Ben, she appears tense, nervous, uncomfortable or mildly sedated. I am always up for reading about jewelry and other royals as well during the upcoming dry spell. Yes, addiction was Kate’s Big Cause when she first announced her patronages, but she only did about two engagements for them before leaving them in the dust. Let’s see, the last time Kate visited an EACH hospice was… She attended EACH’s Nook appeal launch in November 2014 and she met some of the kids but that wasn’t an actual hospice, so… March 2012? That was the last time Kate actually visited an EACH hospice. She has visited other non-EACH hospices since then, but the last EACH hospice was March 2012. That was also her first, and only, EACH hospice visit. Wow. Oh wait! Kate did visit an EACH hospice sometime in spring 2014 but that was a no press visit, and photos were taken of her there and released during children’s hospice week. So I guess spring 2014 is the last EACH visit. Kate hasn’t done anything with the Scouts since December 2014. Wow, thanks for such a detailed response! To learn that she hasn’t visited an EACH hospice in over 2 years is so disheartening. I so wish that Action on Addiction or EACH would call her out over her dismal track record. Looking at the dates of her engagements, it does appear that she is starting to stretch them out over the month instead of bunching them all together but she does manage to have at least a week or two off between the last engagement of a month and the first one in the next month. Oh thanks, I just mentioned the scouts the other day and didn’t know if she was still involved. I still think that would be an easy event to host at their place (don’t know if uk scouts are like the states where they work to get badges) but it would be a nice tie into mental health/good for girl confidence type of activity. We were originally told that the Scouts were something she was doing on her personal time and wouldn’t count as official engagements. When her numbers were solo, they went back on that statement and starting calling Scouts official. I wonder what happened to the scouts. It’s not like she’s done anything with them in a long time. Oh wait, I think that’s true of all her non-fluffy ‘patronages’. You know, the sick, the dying, the disabled, the mentally ill. The children. Thanks, I didn’t know it was supposed to be personal. I just remember the pic of her around the campfire and then nothing else. Tiaras and diamonds and brooches, oh my! I would love it! It seems to me that these charities were chosen for KM because Diana was so devoted to those charities. I seriously doubt KM had any say about whether or not she wanted to be patron for these causes. Also the mental health initiative was chosen because Diana suffered so much from depression and eating disorders. I don’t think KM has the empathy or intellectual capacity to grasp how these illnesses affect millions of people. She can’t even stand to be near childten who have any kind of disability. She revels in “handsome” Ben’s charity because she believes he finds her sexually alluring. There is nothing more to this woman and she will never do anything for anyone else if it doesn’t result in a huge payoff for her. Too true Joanna, I imagine that these charities were chosen for Kate simply because she couldn’t be bothered to choose for herself, despite reports that she researched and chose her charities herself. Or did she think that attending galas and receptions was all that was going to be required of her? You know, if Jason could talk Sir Ben into becoming patron of Kate’s various charities as well then we might see her actually pay some attention to them. It seems that Wills, per his usual contolling behavior, took charge of which charities KM would represent. The charities all mirrored Diana’s interests. And per KM’s passive aggressive response, she ditched those charities after one or two visits. Very interesting Joanna, your theory certainly makes a lot of sense. 100% right. Kate has palpably demonstrated absolutely no interest in anyone or anything unless there is a personal payoff. Like you and Lauri, I am sure charities were chosen to link Kate to Diana and to enhance the ‘Disney princess myth’ PR: basically, an act of manipulating the public. As we have seen, these have all gone by the wayside after one or two visits. The ‘keen’ and ‘ main focus’ mantra is just PR rubbish. Actually every bit of PR from KP I consider to be just pathetic attempts to disguise the utter dissolute nature of its clients. Most people don’t follow up on the promises made and never delivered. 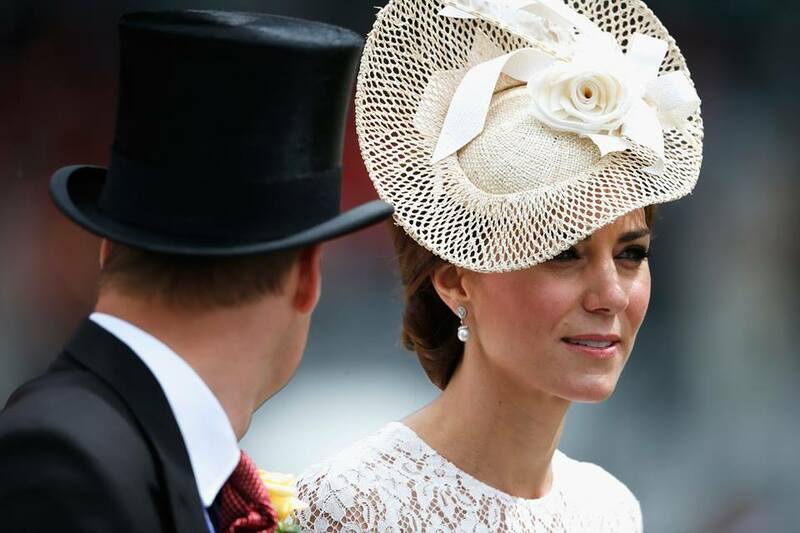 This article is a great start in exposing the nonsensesurrounding Kate Middleton. Once you said that a post regarding her pre and post george fashion is coming up…i was looking forward for that so much….maybe it’s the time you should think about that?? Yes, that is in the works as well. KMR, I suggest covering the BRF (and possibly other RF) homes; how much they cost, who pays for it, etc. some of this is discussed on RD but I’ve never seen you cover homes (in my limited time on this site) and I’m concerned about the high cost of these homes in comparison to the work their occupants do to warrant them. I’m thinking specifically of the Queen’s children, but other occupants of KP also come to mind. These numbers are so well needed, KMR, Thanks for taking time to do this. Like others, I am saddened that all the causes Kate was so “keen” on seem to always fall by the wayside. One shot deals, or two-shot deals mean so little in my humble opinion. I wish she would attach herself to one or two things and work her backside off. It would be nice if she honored all her causes, but I think that is asking too much at this point. Here’s the thing. Such service really does inspire others. And, we all need to make an effort to work for the charities of our choice. Imagine how young people could be inspired to get involved with charities if they saw consistent hard work from a Duchess like Kate! Maybe, that is too much to ask. I guess, frankly, it is. Somehow I totally missed the last part of your article when I wrote my first comment so sorry for writing another one. I thought about it before, actually whenever we speak of Kate not doing anything for her patronages or forgetting about certain causes, and maybe we could get something on (new) royals taking over a patronage/cause, how they are involved, how often they visit etc. Maybe for someone like Sofia who is fairly new too or maybe Harry who got involved in HIV. I would also second the comments on Princess Anne, Beatrice and Eugenie. Or just some other Royals in general… I recently read smt about Prince Philips mum, what a woman! And I’m also always into nice houses and gardens… or maybe holidays spots? Like the official summer residences and not the stalkerish ones. Remember when Kate made a ‘secret’ visit to a women’s prison back in November-ish when she wore a cocktail dress and clutch bag and people were making it seem like that was going to be her big cause? Has she done anything more with women in prisons? Or was that connected to addiction? When you lay out the number like this it really becomes blindingly apparent that Kate is doing to bare minimum. I mean, four work days in a month? I know that this is a Kate blog, but maybe you could do a similar post about William’s engagements? I would like to see how many days per month he actually works. He keeps whining and moaning that he needs to be with his children or they will be emotionally scarred but it doesn’t even sound like they need a nanny at all with Kate working only four days a month. I used to be a nanny and it doesn’t seem that Kate does even remotely part-time job hours each week. George and Charlotte could easily be watched by Carole for four days a month or, heaven forbid, William could watch the kids while Kate has a solo engagement. Every time William says he can’t be away from his children it makes it seem like he is spending weeks at a time away from them doing royal duties. So he can be away from his kids to fly his helicopter but he can’t be away from them to cut ribbons and shake some hands? Excuses, excuses. Some people on this blog have said we criticize Kate too much and not William, so maybe if you could figure out what William’s work numbers for royal duties are in addition to how much he claims to work with the helicopter ambulance job, that would be very interesting. I noticed you didn’t write about the Queen and Duke of E visiting William’s “job” last week and I can’t blame you, it didn’t get that much coverage in the press, either. But I would be interested in knowing just what the heck William does every month. The nanny comment is interesting. The nanny is there so that William and Kate can socialize and do whatever the hell they want, when they want. And I truly believe they do. We know they were able to go to France undetected – we only got official photos once they were back. They are able to move around as they will. Do you think they are really sitting around taking care of those kids 24-7? It is a bit naive to think the only things in life to do are work and be with your kids. Isn’t also George in kindergarten a couple of days a week? They could easily work every other day while the other one takes care of the children, they could work close to Norfolk (hospitals, schools, charities), or they would take 1 or 2 days a week and work from morning to noon and let the kids have fun with grandparents or nanny and they would work more than they do now… it seems like they are not really interested. That’s what “normal” parents do, or at least that is what William and Kate would have us believe by all of their multiple refusals to attend events due to ‘childcare issues’ or because they can’t stand to be away from their kids. Well, I have nannied for multiple families and they always scheduled things so that I worked Mon-Fri while they were at work. As soon as parents come home from work they want to be with their kids and spend as much time with them as possible since most parents only have dinner, bath time, and bed time with their kids at night so they only see their kids Mom-Fri for a few hours each day. Obviously parents don’t just work and be with their kids, but all of the full-time working parents I have worked for do want to spend as much free time with their kids at night and on weekends as possible because they work significantly more than Kate and William. Nanny Maria is a trained Norland nanny. The way Norland nannies have been trained has not changed much since the 1890s or so and they are considered some of the best in the world. But if I were in Kate’s position and I could get away with working only four days a month with maybe an hour or two per day, I wouldn’t bother getting a professionally trained Norland nanny. I would just have a friend or relative babysit. And they go on foreign tours so seldom with a tour only lasting a week or so I still wouldn’t feel it would be necessary. Especially since Kate is so close with her mom who seems to like to babysit. IF Kate only has Maria ‘watch’ or ‘nanny’ her kids when she is working (which I doubt) Nanny Maria has one of the cushiest, easiest nanny jobs in the world because Kate hardly works. If not, then I suspect Nanny Maria is taking care of George and Charlotte while Kate goes to the gym, gets her hair done, goes shopping, maybe secret vacations, etc. But it doesn’t really bother me one way or another if they have a nanny or not since most people in their circle do. The main point I was trying to make is that Kate does not work, not even part-time hours two-three days a week. Kate is basically a stay-at-home mom. So I am curious about how many days/hours per week William works. Why does he say he cannot perform royal duties because he needs to spend time with his kids, yet he can be away from them to work as a helicopter pilot? That seems hypocritical and I just feel like he is making excuses not to perform royal duties. Most dads work 8-5 (or more), five days a week, and will occasionally go on business trips. I seriously doubt that William works anything close to that. I’m just tired of the excuses. I see moms and dads work full-time yet they still manage to have excellent relationships with their kids because it is about the quality of the time you spend with them. I don’t think Will and Kate get how privileged they are and it just irritates me that they are trying to portray themselves as a normal family just like anyone else when they are anything but. They barely work PLUS they have a full-time Norland nanny. With a Norland nanny, there is no reason why Kate shouldn’t be able to work one or two days every week. If they trust their nanny, plus George is in school a couple of days a week, why can’t Kate (and William) do more? They have help! Many couples cannot afford a nanny (and certainly not a Norland nanny) but they still have to work full-time to make ends meet plus afford childcare (maybe daycare or babysitter) plus everything else they juggle in life. Will and Kate are very, very privileged and the lack of work ethic they are exhibiting is just ridiculous at this point. It would be interesting to know what the going rate for a Norland nanny is. And what must one aspiring to become one do to be accepted to the school in the first place. Anyone?? I was intrigued so googled. Looks like live in is based off %of net annual salary. Interesting to know what salary wk were based off of. You make application through the normal system for applying for university courses beyond high school. I wouldn’t call Kate a ‘stay-at-home-mum’. The term implies that she is doing all the work associated with bringing up children. Hmm… no. I think she is better categorised as a woman who does not work and whose young children are at home, as is she. Such a highly trained Norland nanny will be doing the lion’s share of caring for the two children; why bother hiring a Norland nanny if not? I suspect Kate spends her time exercising, shopping, chatting with her mother and sister (another two women with nothing to do – what is it with this lazy family?). Her staff would take care of correspondence, get signatures, and brief her as required. Days can be easily frittered away with such mindless things. William’s schedule is probably pretty similar: spending time with friends, rocking up to EAAA at particular times. I imagine they see their children at particular times each day. But really, we have seen the children with the nanny more times than with their parents. And yes,they can get away for holidays at their discretion. The France trip would have been unknown had not William choose to show off how he’d fooled everyone by sneaking away, pathetic numptie that he is. I imagine their life is similar to what we see on Downtown Abbey. Wasn’t it reported that’s their fave show? Thanks for the background for this! Thank you Bluejay and Maven the First! To those interested in learning more about what Nanny Maria does every day and how she was trained, watch this video. It’s really insightful. Ray, part of the answer to your question can also be found here at 22 minutes. Jen, I agree. I think that Kate wants the world to believe she is a stay-at-home mom. The fact is she (and William) just want to find any excuse they can to avoid royal duties. I don’t see them changing when they become Prince and Princess of Wales (if that happens). This is just their personalities. There was a documentary about it, it could still be available on BBC iPlayer. Pretty fascinating. Edit: Nevermind this is it! Cookie, you’ve stated what I think is a very accurate assessment of their situation through your posts here. They are what you would call ‘spoiled brats’. Both have been brought up to be less than useless. The ‘stay-at-home-mother’ tag is a good smokescreen for Kate to work as little as she can get away with. William, too, with his ‘hands-on-father’ claim. I think they are both lying through their big, fake teeth. Like you, I’d like KMR to do a break down of William’s work record. It would be good to see how the pair stack up together, whether patterns can be observed. Also length of engagements reveal a lot in my opinion. One of the charities this year – was it to the EACH shop? – received a scant 30-35 minutes. How long was the latest Ben Ainslie engagement? Wimbledon? 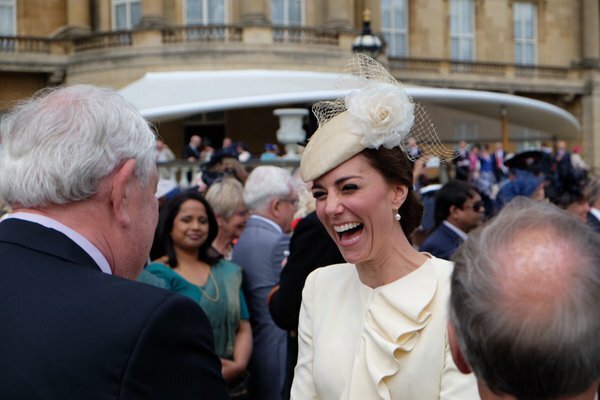 We often say that Kate enjoys the fun events; it would be good to have the data to support, or not, that theory. There was one that was about 15-20 minutes. I think the HuffPo thing. Photo op then she ditched. Ah yes, ditched it to go shopping. After that mammoth PR build-up about her working for the day with the Huff Po folk; so keen! Beyond dumb. Thanks Cookie! Norland almost seems like it’s advertising their graduates as a component of a certain lifestyle (along with fully outfitted chefs kitchens and chalets in Verbier and gazillion dollar educations for the progeny). “Is your nanny Norland? No? Shame. Ours graduated top of her class 3 years ago and we can’t imagine daily life without her. Such a gem and worth every penny”. I did have a giggle when they said their nannies are trained “to stitch like an expert seamstress”. Maybe Kate’s been taking advantage of that, judging by all the tailoring she does in house. Tash has a partner in crime haha!! How did it come to be that so many of HM’s relatives (other than her children) are ‘working’ for her with patronages, honorary military titles, and honorary positions in various trades and guilds? I can understand opening an annual fair or festival especially if your title links to the area where the event is held. Other of these engagements and appearances seem petty. Were they prevented from working to support themselves? Or were they enamored of living in royal accommodations that this was the trade-off? It seems that the number of engagements have grown to fill the time of the monarch and her family without any thought as to how it can be maintained moving forward. How does this compare with previous monarchs? Are you talking about HM’s older relatives like the Duke of Kent, Princess Alexandra, etc.? Her cousins, Edward, Duke of Kent and Prince Michael of Kent both served in the military for 20 years. Edward became Duke at 16 when his father was killed in a plane crash during the war. He took over many patronages from his mother, Princess Marina, when she died in 1968. The Kents are particularly close as Princess Marina is also a cousin of the Duke of Edinburgh. Prince Michael and Princess Michael have their own consultancy businesses, but attempt to be extremely careful of the “trading on their Royal contacts” bad publicity. Her cousin Prince Richard of Gloucester was an architect – no support from the Royal family – until his older brother, William, was killed in a plane crash in 1972. Richard had to give up his career to take on Royal duties plus family obligations after he inherited the Royal Dukedom in 1974. I think the “cousins” were/are closer than most because the 7 of them did grow up during the war years. Also you have to remember when Elisabeth became Queen at 25 she only had her mother and sister — she needed her cousins to be ambassadors for her. They’ve been supporting her from the beginning. Thanks for reminding us Lady Blue, I had forgotten the Queen’s royal cousins have been supporting her for a long time. And she gets unofficial support from her non royal cousins too, like Margaret Rhodes. KMR – I’m re-posting this here as this is the conversation for it. This is as of today – lest anyone really feel impressed with how much Kate is doing. From my perspective – she’s basically a royal wife accompanying her husband to events and staying home with the children. It is what it is. Not putting a positive or negative spin on that. I would caution giving Kate too much credit, or any credit, for “helping the world”. Did you say you had a post about style pre and post George? Also, I know we shouldn’t compare her to other wives but I’ve always wondered about the timeline of gaining more “responsibilties and privliages” (ie State Banquets, Royal Victorian Order, Solo Foreign Trips..) Any information on the subject would be great! Great idea! I would have thought that by now, as the wife to the heir to the throne, that maybe Kate would have received the family order, not knowing much about it, does the queen just bestow that because she really likes the person or is it a combination of really liking the person and the fact that they work so hard for the firm? To me it is very telling that Kate does not have this after 5 years, but as someone wrote above, she is really just a royal wife who accompanies her husband to events. Jeez it’s sad when you look at the actual numbers! I generally only work 3 days a wk but those are 12-14 hr shifts!! Her engagements rarely go over an hr. We knew she wasn’t a worker bee but when you see the # in print puts it in reality. Plus, the only reason this yr looks so busy is because of India and queensbday celebration. Same for 2012. Her numbers were up thanks to the Olympics, the south east asia tour and the Queen’s jubilee. Kate is such a one-trick pony. Fancy dinners, Royal Box/Balcony appearances, plus sailboats – she’s on-board with those (pun not intended to begin with but it fits), but interacting with the hurt, suffering or unattractive? No way. Don’t know if you want to do any history-type posts, but how about Royals from North America? Most famous is probably Princess Grace (did you know Alice was the first American Princess of Monaco? She married Albert I in 1889.) Also The Duchess of Windsor, Queen Noor of Jordan, Crown Princess Marie-Chantal of Greece. Red Tulip mentioned love stories. Most romantic (I think) is Harald and Sonja. KMR, thank you for this amazing amount of work. Helps tell the real story. Roughly 1/3 of their “work” came on the taxpayer-funded vacation to India and Bhutan? I’m subtracting foreign appearances for things like Somme remembrance. That bumped up both of their engagement numbers significantly. How about a post on the Bhutanese Royal family? I don’t know much about them but I saw a pic of jigme(? )cooking lunch for school children! Loved it and I’ve been too lazy/occupied to look more into the family. I have to say that I’m happy for her! I guess St Barts is now the Caribbean island of choice for the Middletons and not Mustique. Freebies galore now they are family. Let’s just hope she doesn’t take advice on wedding hair and make up from her big sister. Mrs Middleton aka Mrs Bennett (Pride & Prejudice) must be so happy. I have to say Mrs.bbv you do Mrs.bennett a disservice by comparing Mrs.middleton to her! Yes, she was shallow and superficial but she realized what dire straights they would be in once Mr. Bennett passed. Contrast that to a reasonably well off family, the children went to college and should have been able to support themsleves afterwards yet all they seemed to want was to live off their parents until they found a rich man to support them. Michael Middleton does remind me of Mr. Bennett though. I can just hear Carole saying ‘Two daughters wed, Oh Mr Middleton, God has been very kind to us’. I agree about Michael=mr.bennett. I had a patient named Mrs. Darcy and I was talking to her about how she had found her mr. Darcy!-tear. When I first read the bk I couldn’t stand Mrs Bennett but when I revisited it when I was older I realized she probably subconsciously realized they would be screwed once he passed so I forgave her shallow and superficial tendencies. That’s why I think Carole is worse, she gave her kids a means to be selfsufcient in name only. Colin firth still represents the quintessential mr. Darcy for me.=)I very rarley find a bk-movie version that I Like as much as the bk. The BBC version of p&p and shawshank redemption are the two exceptions. Oh Lord, do I love Jane Austen!! Couldn’t agree more about the P & P adaptation by the BBC. The very first thing I downloaded onto my iPad when I got it. Colin Firth is Darcy but so many glorious performances in that series ……Crispin Bonham Carter’s Bingley was just as I imagined him and Alison Steadman as Mrs Bennett and Mr Collins …….I don’t thing anything else could come close to the perfection that it is. Even my ex hubby who was a cultural vacuum used to insist we watch it every Sunday night when it first aired he loved it so much. And Shawshank is also another personal favourite……as well as Breaking Bad which to me is modern day Shakespeare such is the quality of the writing, the imagery, the acting, the dialogue. Perfect quote from a perfect novel, superbly adapted. I agree about the whole cast! I think that’s what helped make it. That and it stuck to the story. Andrew Davies who did the screen play also did an adaptation of sense and sensibility for the BBC. It has Alan Rickman as Cnl. Brandon. It’s another great version. Sincere congrats to Pippa and James!! I admit, I can’t wait to see pictures from her wedding day; I can already imagine her just beaming with pride and Mike being a proud papa (once again) and walk his daughter down the aisle. I’ve heard/read that Mike is the one that Pippa is closest to between her parents. I know she’s gotten a boatload of flack from the press/media (and a fair bit of it was deserved) but, IMO, many of the comments were cruel and out-of line. Yes, she may not use sunscreen BUT she’s a naturally athletic girl who is active to stay fit (not skinny) with a likableness charm about her. When she does make an appearance for a charity, I get the impression that it’s sincere and she’s not just going through the motions. I agree, Kimothy, well said. Why is Pippa even a famous person? Who is she, an unaccomplished, greedy, untalented (a failure at every career that she’s tried), attention seeking and unattractive nobody. This is the fate that would’ve befell Kate if she didn’t become the Duchess of Cambridge. It would have been a better fate for Kate had she simply just married a rich man: no fame, sure, but no scrutiny either. I’m still appalled that Michael and Carole – both are complicit – would bring up children to be such users. Wish she would just go away. Repeatedly forces herself on the public. If it’s true, I’m happy for her too! Well Tanna (Midds speed dial paparazzi) says it’s true so it must be true. She went through a royal reporter to announce it on Twitter. The Middleton’s are such ‘media whores’ so no reason why eyebrows should be raised. They really do take the public for gullible mugs. Pippa’s certainly done the hard years in putting it about in order to snare a wealthy man. I had to chuckle at the PR blather to paint it all as rather ‘demure’, with James getting down on one knee and asking Michael for permission. Well, Carole did teach those girls how to social climb. The Wisteria sisters, indeed. Good for Pippa. Now, she can come out from the shadow of her sister and hopefully, have a happy life of her own. Not that marriage is the only thing to make a woman happy, but it’s been obvious, she’s been looking! It amazes me that the Midd kids do rarely anything, but are still financially successful. The parents worked hard to set up and maintain the party biz, though, for the life of me, I don’t see how it became such a success. But, , the kids are just not such career minded people. Hope Pippa will be happy. When’s the wedding? Anyone know? On the car radio this morning, I head the tease, The most eligible woman in the UK is about to wed.” I thought, “Who are they discussing? And, then the announcement about Pippa was discussed with super excitement. In the grand scheme of things, I guess I really think: “Who cares?” But, then, I want to be a nicer person, so I wish the couple well. omg. I read that he got down on one knee to ask her to marry him. I didn’t know he spoke to Michael. I guess, he’d have to, though. Thanks so much as usual KMR! I am actually interested in knowing the amount of money spent in comparison to number and length of engagements. Whether what she spent for clothes, hair and whatever dinky stuff she purchased for the day are justifiable by the amount of money she raised for her causes, or whatever is the impact of her appearances. I am also interested in knowing what “Kate Effect” really is. Is it the consumerism and overspending trend she promotes, or only emergence of style copycats, or if there really is a “kate effect” that invites people to support her causes. We may be able to answer the ultimate question “what has Kate been doing in all her years as royal bride?”. Hey KMR, how about a post about you and about the blog? How you came to do this Blog, why Kate and the royals interest you? How long it takes to you research topics and write articles, etc. Yes, KMR would you feel comfortable talking through these ideas? I appreciate the time you take to research, write and post though I do wonder if it leaves anytime for anything else in your day? I hope there is some down time too? Most of the engagements if I am wrong have been with William. I wish the individual duty figures had been higher, for charity. I think Kate has done slightly better than last year but with George in nursery and a full time nanny I don’t understand. The job description clearly states working with charities and patronages right? I would like to hear more about Princess Beatrice and Princess Eugenie. Also about the European princesses and I wouldn’t mind a post about Jecca Craig and her work in Kenya please. I feel happy for Pippa. However I would have thought Pippa would have been the one to marry an aristocrat. I think I will believe it when I see it.